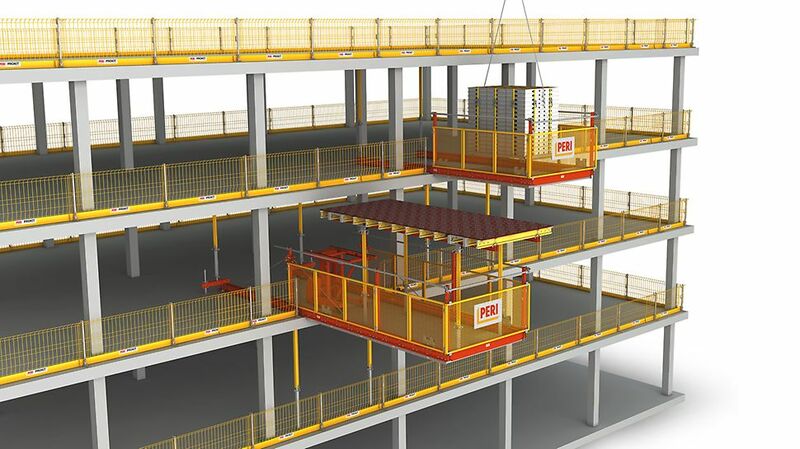 The RCS MP Material Platform serves to quickly and safely move formwork and materials to high-rise buildings. 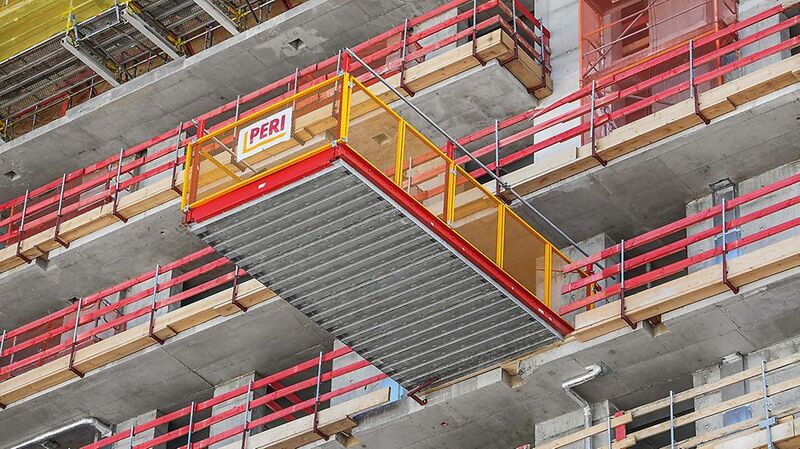 The platform with steel decking can be optionally anchored in the slab or clamped between two floors by means of MULTIPROP props. 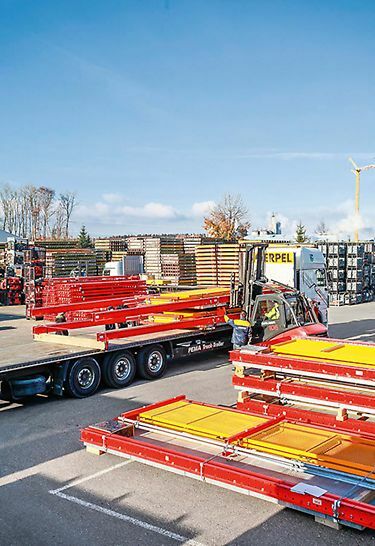 The continuous side protection, along with the additional scaffold tubes, also ensure safe working conditions when slab tables are attached.